Wuhan, China – October 30, 2013 – A team from China backed by Dongfeng Commercial Vehicle and run by leading sailing experts OC Sport will race in the next edition of the Volvo Ocean Race in 2014-15.
eam Dongfeng will have the interests of Chinese sailing at its core with a significant number of Chinese in the final race crew as well as its support team. Team Director Bruno Dubois announced the launch of the new campaign in the Hubei province city of Wuhan on Wednesday (Oct. 30). 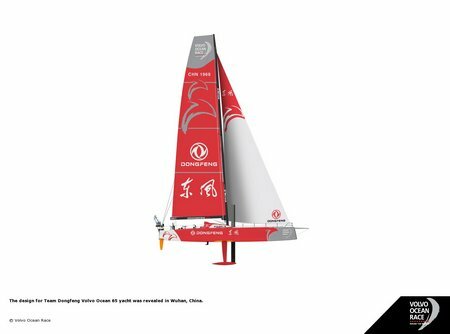 Team Dongfeng is the third campaign so far to announce its participation in the 12th edition of the world’s leading crewed offshore race that starts on October 4, 2014 with the Alicante In-Port Race before the departure from Spain to Cape Town for the first leg a week later. The team will represent China. OC Sport, which will run all aspects of the campaign, is one of the most respected companies in the sport of sailing and responsible for the successful Extreme Sailing Series as well as numerous race campaigns over the past 15 years including those of record-breaking British female sailor, Dame Ellen MacArthur. Dongfeng Commercial Vehicle will be the title partner of the campaign, but will be supported by a number of other commercial partners which OC Sport is now seeking to allow the campaign to realise its full potential. These partners will have the opportunity to share a story that is expected to receive significant global exposure, in particular in China itself, through Team Dongfeng’s participation. “But equally this process is at the heart of the project; we want to leave a real legacy that will both motivate the Chinese to want to embrace the sport of sailing, and be able to develop the talent so that, ultimately, a future campaign could be 100% Chinese. ”It had already been revealed earlier this year that the next race would again feature a stopover in China in the port of Sanya. The city in the Hainan Island province successfully hosted the event in 2011-2012, following Qingdao who became the first Chinese hosts in the previous edition of 2008-09. Established in 1969, Dongfeng Commercial Vehicle Co. Limited (DFCV) has taken over the core business of Dongfeng group as the business division for medium and heavy-duty commercial vehicles. With Shiyan the main production base, DFCV boasts a wide range of products covering medium and heavy-duty trucks, complete bus & bus chassis in its vehicle business, cab and chassis frames in its key components and assemblies business, as well as engines, transmissions and axles in its powertrain business. DFCV has become one of the largest commercial vehicle manufacturers. It has enjoyed the leading market position in medium and heavy-duty truck sales in China for several years.